“Welcome to Sweden, you lunatic,” says Karl. I’ve just landed in Stockholm, the ‘Capital of Scandinavia’, where the temperature is a bracing -19 degrees. Karl is a Swedish-Syrian architecture student. I know him from Hyderabad, where he had spent many uproarious years. “Come on, let us get you a drink,” he says. It is midnight and the Stockholm Arlanda Airport is deserted. We hop on and off a bus heading to a luxury hotel inside the airport perimeter. Atop a small hill, glittering surreally in the halogen lights, is a Boeing 747. We make our way up. It is icy, and weighed down by luggage, we make slow headway. Inside it is warm; after all the insulation has been designed to keep passengers comfortable at 40,000 feet. The famed Jumbo Stay Hostel. Photograph courtesy of Jumbo Hostel. This is the famed Jumbo Stay Hostel. Entrepreneur Oscar Dios is responsible for getting this rather radical idea off the ground. At the door you take off your shoes and are issued with paper slippers. 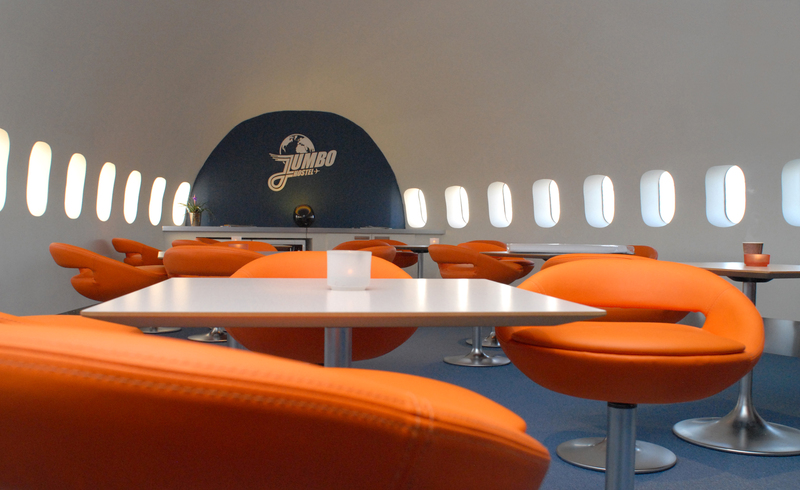 The First Class cabin in the nose is now the bar. At this hour it is filled with raucous students. The flight deck is now an en-suite bedroom; Dios has more ambitious plans, to convert the engines into “capsule” rooms and so forth. It must be the alcohol surging through my bloodstream but I start feeling a little sorry for the Boeing. Did it ever imagine this, when it rolled onto the tarmac that promise-filled day in Seattle? Does it still dream of runways, of flight, of a reverie of wings? “Where do Boeings go when they die?” I ask the barman. “We are closing for the night, sir,” is his response. Our descent down the hill is considerably faster than the ascent. After wandering in the desolations that surround airports, we locate the terminal. Our options have narrowed to the hourly shuttle that runs from Arlanda to the Cityterminalen. We can see the twin headlights of the waiting Volvo. My friend urges me to run while he gets tickets from the dispensing machine. “Put your luggage on the doorway—delay him somehow!” he cries. I try my best and the scowling bus driver registers his annoyance, “I’m running late.” But my tactics work and Karl comes running up. The driver punches the tickets with a disapproving grunt. We have left at 3.01 a.m. Inside, the giant shuttle is totally empty. We are the only two passengers. “Typical Swedish mentality,” says Karl referring to the driver. “They follow a Weberian logic,” he says as the shuttle races through the deserted highway, riffing on the the great German social scientist of the last century. “It is more important to have the bus go on time than actually have any passengers—this is the general Swedish outlook.” He goes on, “These people are not really evil, they are just so mechanical, following the rules, that they don’t even consider the moral implications of any action.” By the time we get off at Solna, we agree that it was the driver and his ilk who caused the Holocaust. The next day greets us with louring skies. Stockholm is an archipelago and we are headed to Södermalm at the archipelago’s heart. We take a shortcut to the station, through a vast necropolis. The graves are islands of black in a sea of snow. 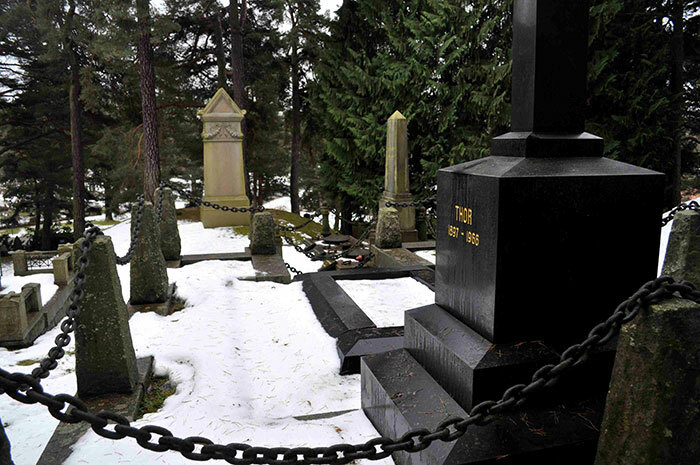 This is the Solna Kyrkogård, where amidst the countless graves lie luminaries like Ingrid Bergman, Alfred Nobel, and Victor Sjöström—a veritable Valhalla in the ice. Stockholm has the world’s most expensive public transport network so I’m happy when Karl assures me that it is “on him”. When we near the turnstile with its glass doors, I am surprised when Karl instructs me to observe the commuters carefully. “I thought you said you were going to buy the tickets.” “Teach a man to fish,” he retorts angrily. “I’m an urban tactical theorist,” he explains. “Follow people—not too close, not too far,” he says. “You have to be the exact right distance so when they put their card in, you just follow behind them.” He demonstrates by first acquiring his “mark”, a briskly moving businessman and using the brief window of opportunity to go through. If Borges imagined “paradise as a kind of library”, then Hell is a library full of books you can’t read. Photograph by Jaideep Unudurti. We are soon walking through Vasastan, a major district of the city. Many areas have a ‘-stan’ suffix, endearing to my Indian ears. Karl explains that it is a contraction of ‘staden’ or town. He walks with a slight limp. Legacy of a “vacation” as he dryly calls it, in the home country. He was the only survivor of a disastrous retreat after his unit was ambushed by government soldiers. The quick-fading light catches the rotunda of the Stadsbiblioteket or Stockholm Public Library. It is a Borgesian structure, the circular shelves approximating an infinity of the written word. 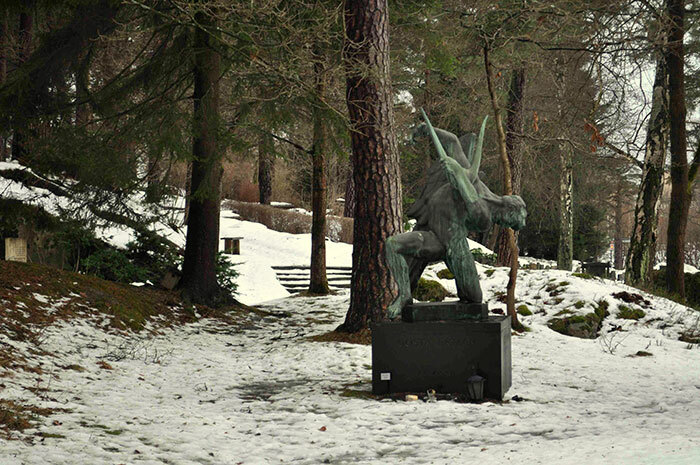 Designed by architect Gunnar Asplund, it is monumental in scope, a cylinder in red embossed with Egyptian hieroglyphs. 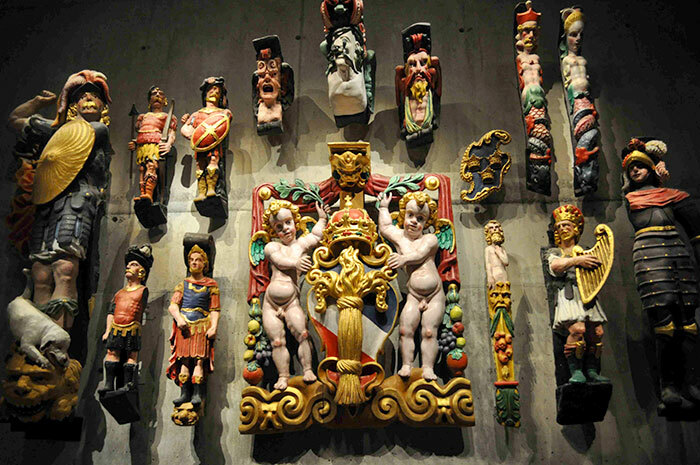 The interiors are breathtaking but the collection is almost entirely in Swedish. 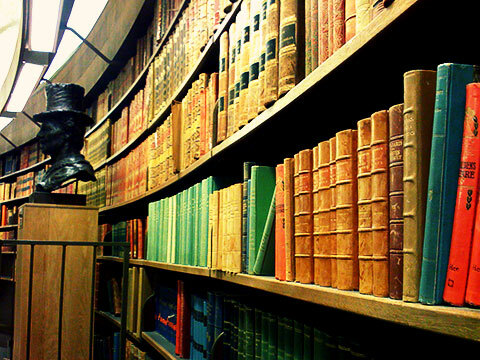 If Borges imagined “paradise as a kind of library”, then Hell is a library full of books you can’t read, I think sadly. We continue, through Gamla Stan, and finally reach Södermalm. 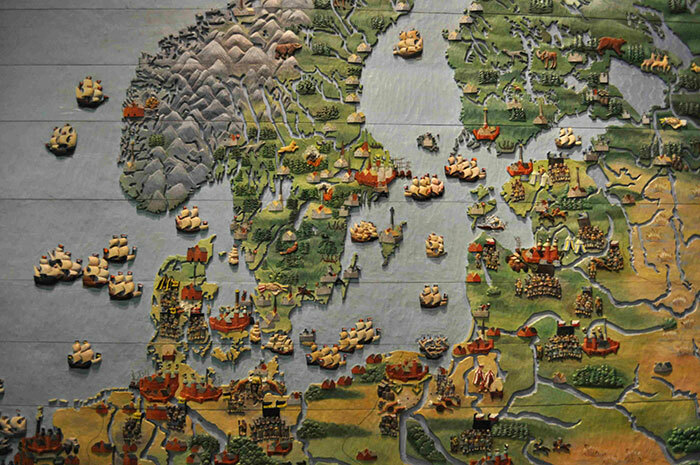 Södermalm island was the stage for many a epic scene in the doom-laden myths of the Norsemen. “In olden days / When eagles screamed / And holy streams / From Heaven’s crags fell,” as the Hundingsbana tells us. At the centre is a towering income tax building called the Skatteskrapan, literally the “Tax Scraper”. We take the elevator to the Skybar on the top floor. It is aggressively expensive, all glass and chrome. After a careful perusal, we settle down with Kronenbourg 1664, the cheapest beer on offer. It is already Nordic twilight. There is a perpetual afterglow in the sky, an afterimage in God’s eye of epic battles, of Thor’s lightning, of Odin’s flashing spear, of wars with the Giants that warped the world. Karl points out a nosecone-crowned minar. The Stora Moske or Great Mosque was an electrical power station built at the turn of the century by Ferdinand Boberg. The architect was inspired by a visit to Morocco, even going to the extent of ensuring the power station faced Mecca. Looking like something out of Arabian Nights, it was perfect to be repurposed as a mosque. “The imams there are wackos,” grumbles Karl. Punctuating the sky is Söder Torn, another immense tower, crowned with a occultish altar structure. Light pours out of it, illuminating the drifting snowflakes. Stockholm’s municipality even has a ‘Board of Beauty’ to ensure the city’s architecture stays beautiful. To my untrained eye, the Board is doing a good job. 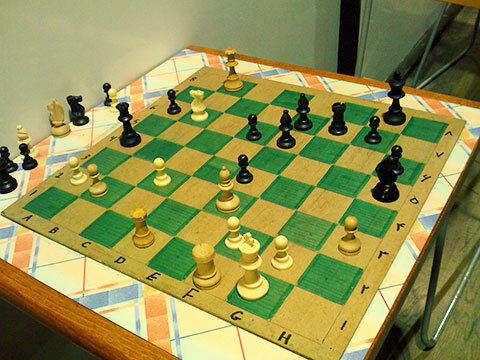 The chess boards are made out of cardboard with hand-painted squares. Photograph by Jaideep Unudurti. 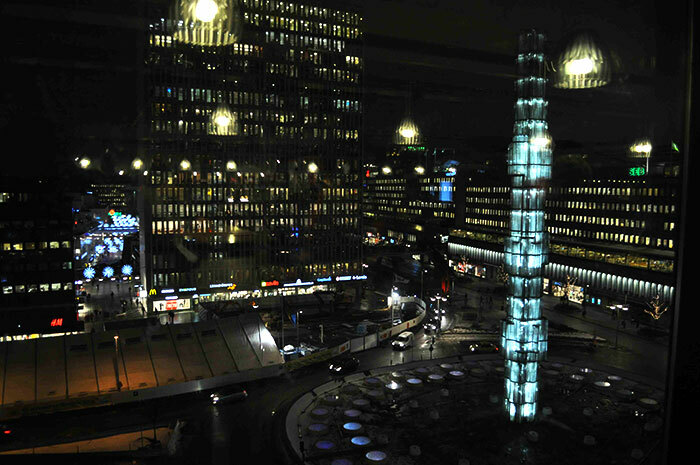 We stroll towards Sergels Torg, the central public square, surrounded by shopping districts. I spot an Indiska store, part of a very successful chain flogging the whole “India exotica” for all its worth. Facing the square is the glittering wall of the Kulturhuset or Culture House. As we explore the cavernous interiors of Kulturhuset, which has free to use libraries of movies and comics, I spot chess players hunched over their boards. A small space has been cleared and I join them for a game. The boards are made out of cardboard with hand-painted squares. A guard turns up to close the proceedings and players shuffle away, games unplayed, battles without victors or losers. 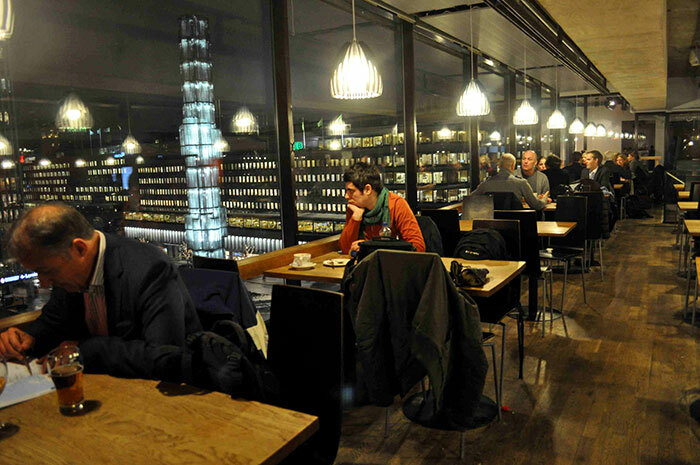 We sip coffee in a cafe on the highest level, overlooking the crystal pillar arrowing upwards from Sergels Torg. The coffee is black as sin. Swedes love coffee and Karl contrasts his experience in Hyderabad, the quintessential tea-drinking city. We reminisce about a particularly strong tikashan we had in a Irani cafe near Mir Momin ka Dayra. Cities, after all, are made of travellers who choose to stop travelling. Overlaid with our memories, cities speak to each other. We continue on our way. 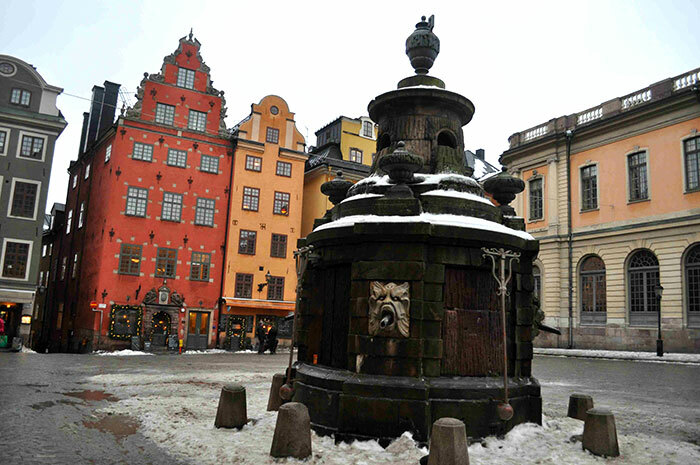 Many coffee shops and bars in Stockholm are owned by Syriac families, says Karl. He explains that there has been a growth of “Assyrian” nationalism amongst them. “You could have a family where one brother calls himself Syriac, the other Assyrian.” We soon near Dovas, a favoured watering hole. Dovas means city in Old Assyrian. The Swedes are probably unaware that their streets are a grid of myth. I think of millennia-old disputes playing themselves out, a people unravelling across the face of time. Inside, the bar is filled with trendy ‘Goths’. Karl is furious. “It is that damn book,” he rails angrily. “Gentrification,” he says. Tourists are thronging the formerly gritty haunts of Södermalm and indeed Millennium tour packages are very popular. Fortunately, the bar clears out and the regulars begin to trickle in. Soon a drunken Russian in the adjoining table jumps into our conversation, objecting to our labelling Tolstoy as the greatest novelist of all time. The man is considerably confused, and believes that Goa is a province of Russia. All efforts to convince him otherwise fail. “Have you noticed that Stockholm’s concentric canals resemble the circles of hell?” asks another patron. “You are thinking of Amsterdam,” I tell him. Exploring a city is like investigating a crime: you ask questions, meet people, examine the forensics, and a narrator, reliable or not, conveys meaning to the reader. By Parvati Ekalavya · Flying Air India somehow brings out the unreasonable, the rebellious, and the ridiculous in a disconcertingly large number of passengers.